Hot Barrels, ISBN: 9781846892462 - available from Nationwide Book Distributors Ltd NZ. With wide appeal to anyone involved in shooting, this fascinating, fun and informative book covers the reality and myths connected to shooting and the shooting day. 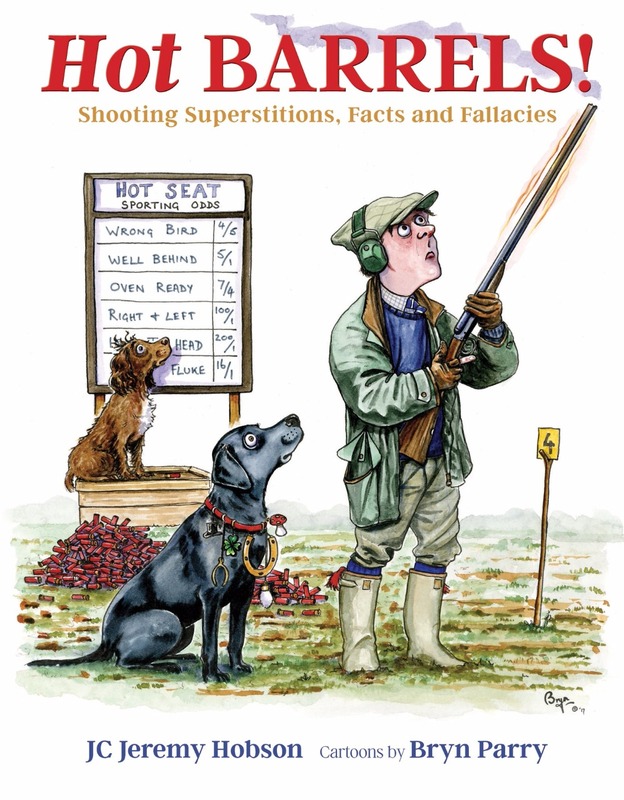 Brilliantly illustrated throughout by famed cartoonist Bryn Parry, this book is perfect for all country sports enthusiasts and reveals the superstitions of game Shots, extraordinary experiences in the field and exposes both the fallacies and truths behind many commonly held beliefs. What is a Hunter's Moon? How to beat the midges? The truth about the McNab and haunted shooting lodges, extraordinary superstitions and much more to amuse, delight and intrigue, all accompanied by Bryn's beautifully crafted cartoons.